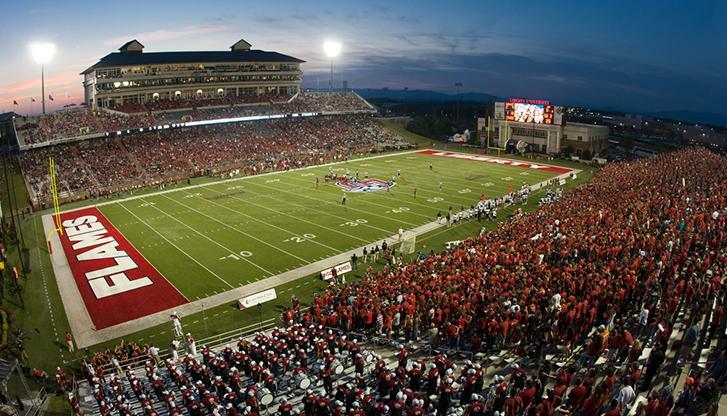 In preparation for Liberty’s first season of competition at the FBS level, the stadium is in the process of being transformed prior to the start of the 2018 season. The latest expansion project will bring the seating capacity up to 25,000 with a new upper deck coming to the East side of the facility, plus more concessions and restrooms to service the student body seating area of the stadium. Fans will also see a new scoreboard, more food options, road improvements and new bus loading and unloading areas to improve road and foot traffic. The plans also include for new data handling facilities to improve cell phone performance at the games, camera platforms, and a new gateway entrance feature.